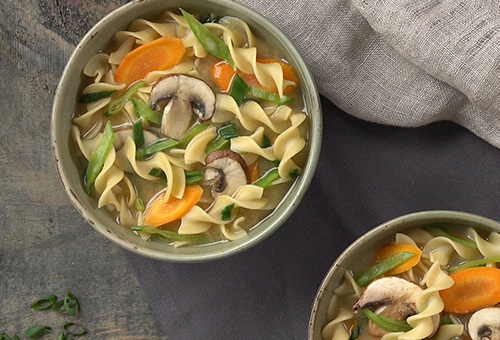 This trendy make-ahead soup is perfect for desk-side lunching. Mix and match the always smooth, firm and delicious No Yolks® with different toppings to make various flavor combinations. Prepare noodles according to package directions, under cooking by 2 minutes. Drain immediately and pour back into empty pot. Add cold water to pot and gently stir. 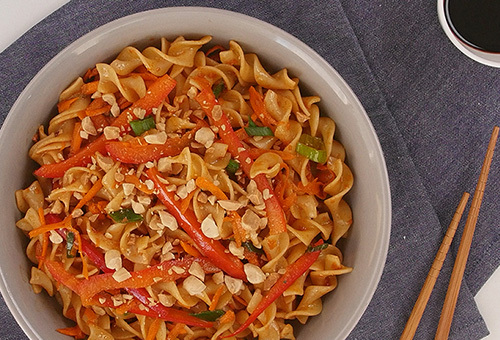 Drain and repeat until noodles are cool. Drain well and return to dry pot. 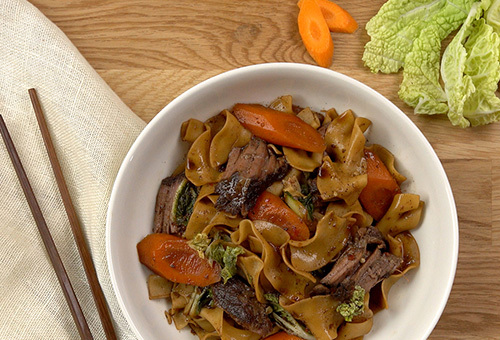 Toss noodles with 1 tablespoon olive oil until well coated. 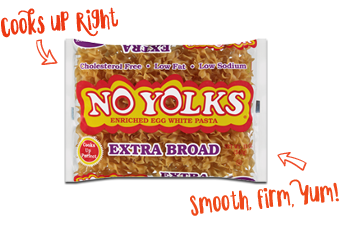 To store: Store pre-cooked noodles, packed very loosely, in an airtight container in the refrigerator for up to one week. 1. Divide bouillon base and garlic among 6 (2 cup) mason jars. Layer in chicken, noodles, baby bok choy, mushrooms, green onions and cilantro. 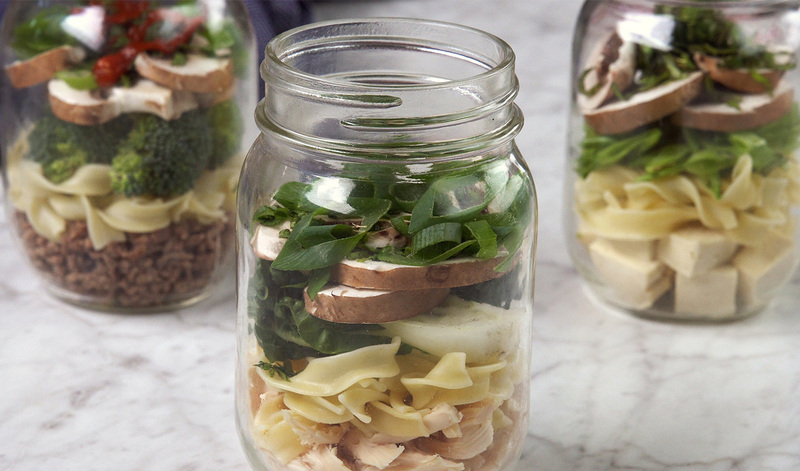 Seal jars and refrigerate for up to 2 days. 2. When ready to serve, fill jars to the top with boiling water, leaving 1-inch head space. 3. Stir until bouillon is dissolved and let stand for 5 minutes before serving. To change things up, replace the bok choy and chicken with broccoli florets and cooked ground beef. Use a beef bouillon base instead of chicken. For a vegetarian option, replace bok choy and chicken with snap peas and cubed tofu. Use a vegetable bouillon base instead of chicken and substitute Thai basil for the cilantro.